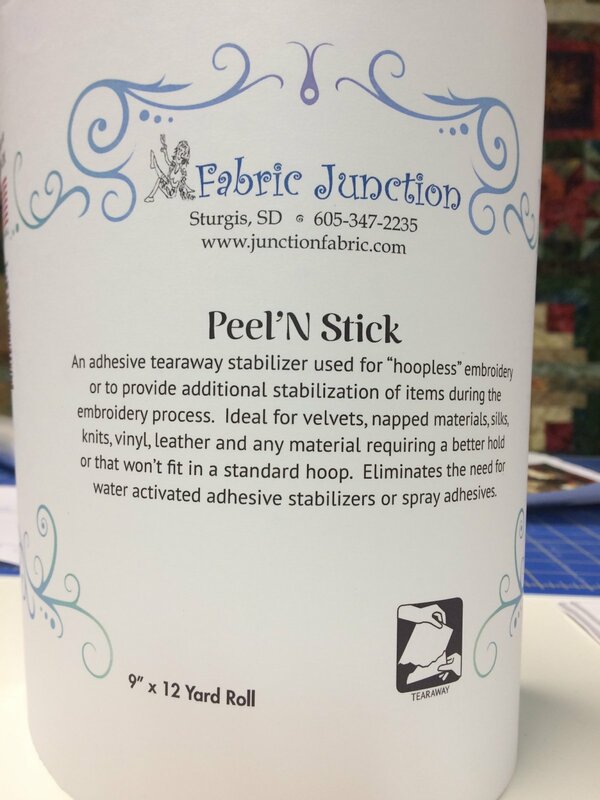 Introducing our very own Fabric Junction Peel 'N Stick. An adhesive tearaway stabilizer used for "hoopless" embroidery or to provide additional stabilization of items during the embroidery process. Ideal for velvet, napped materials, silks, knits, vinyl, leather, and any material requiring a better hold or that won't fit in a standard hoop. Eliminates the need for water activated adhesive stabilizers or spray adhesives. 9" x 12 yard roll.